Frr. a/b/c: Shank square in section; rectangular to somewhat circular head. Three nonjoining fragments preserve most of shank and head of one nail (fr. 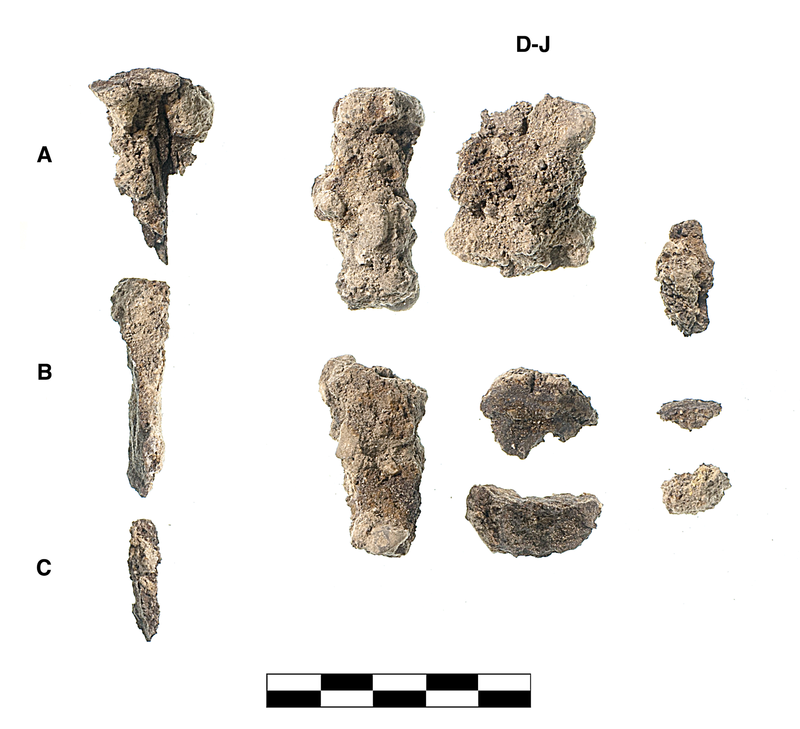 a/b/c); seven more large and small fragments (d-j) from different objects (MNI 2). Heavily corroded with slight mortar adhering.